Cayman Sun Double Ended (HQI) Reflector from Hamilton. HQI Bulbs sold separately. Note: Bulb and Ballast sold separately. We recommend the LuxCore 400w Adjustable Electronic Ballast for the Cayman Sun fixtures. I have three of these on my reef tank, they are nice and simple. My only complaint is that I damaged two of them when trying to insert the bulb for the first time. The thin metal contact, which sandwiches the bulb ends, bent badly when I tried to insert the bulb. I had to spend a bit of time Jerry rigging it back into place and then being very careful when inserting the bulb. I would definitely buy this product again, but I would be much more careful when inserting a bulb; make sure your bulb is sliding between the metal contacts and not crushing them down. This light looks really nice, I havnt had a chance yet to hang and install it but just out of the box NICE! 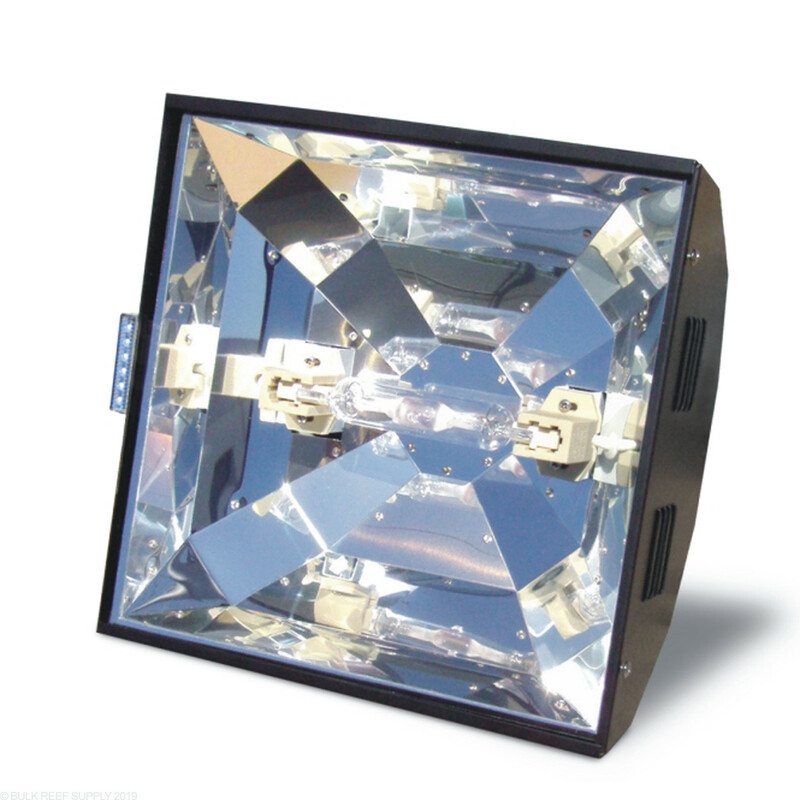 Would i be able to buy the 400w fixture and the adjustable luxcore ballast and run both 250w and 400w out of this reflector? As long as the ballast and the corresponding bulb are 250 or 400 watt respectively this can work great! Feel free to let us know if you have any further questions! 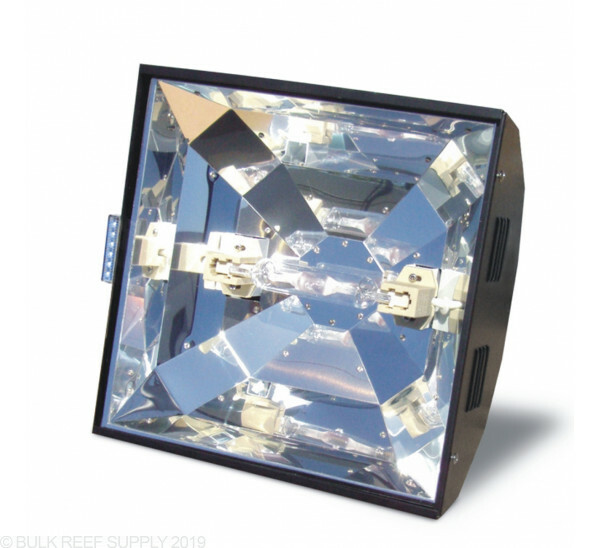 Due to the reflector geometry and finish, you will likely find that the Cayman sun does a better job of spreading and directing the light over your aquarium. The Reefbrite reflectors are also only wired to work with their ballasts, while the Cayman sun will be compatible with a wider range of ballast options. Does this not come with a ballast? If I order this fixture, is it ready to be plugged in and ready to use? That is correct, the product you are looking at is only a component of a system (specifically a reflector). You would need a bulb and a ballast. You can get an entire MH system which happens to use this reflector. If you purchase the system it includes ballast, reflector and bulb.